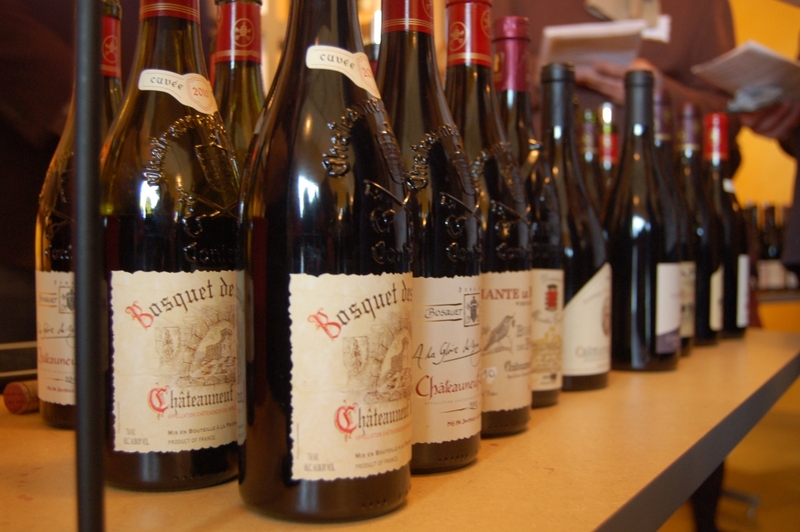 A local distributor hosted a trade tasting of 2010 Chateauneuf du Papes recently. Not too many people on the retail side of the consumer equation know what these trade events are like, so here's a brief look at just one angle - and two wines of uncommon caliber. 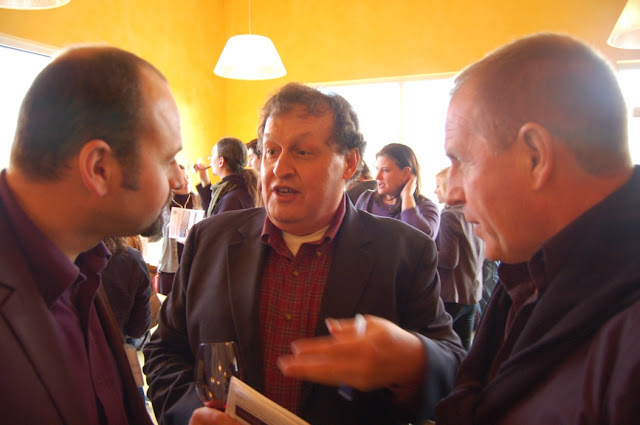 Along the periphery of a warmly appointed hall are about a dozen tables manned by winemakers, owners, and marketing representatives. They are pouring their wines; sheepishly, expectantly. Their English is as spotty as the guests' French, but they are sincere and try desperately to explain their wines even though the wine is there to speak for itself. Most of the people in the room have some sort of decision making authority over purchasing for a restaurant or retail store. It's quite the demographic cross section: some are in suits, some are hipsters, and some just look bored. They're there to see what's what, to see if there are any wines which they can sell to their own customers in this challenging market. With noses in glasses, they perform many complex calculations based on myriad factors: cost, retail, mark-up, points, availability, customer wish lists, etc. ﻿For practical purposes, you have to go in with a realistic objective. There are something like 80 wines being tasted at this event - almost all Chateauneuf du Papes. As a writer with limited intake capacity and a long drive home, strategy is important. 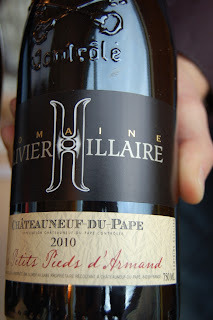 So, you go in with a goal: to get a baseline on the 2010 vintage in Southern Rhone. You go in there thinking, "Yeah, I'll taste some, see what the commonalities are, see what the common thread is. Then I can write it up in a nice, neat package." But this is the Rhone, and this is Grenache, and Syrah, and Mourvedre, and a bunch of other grapes. It's complicated. 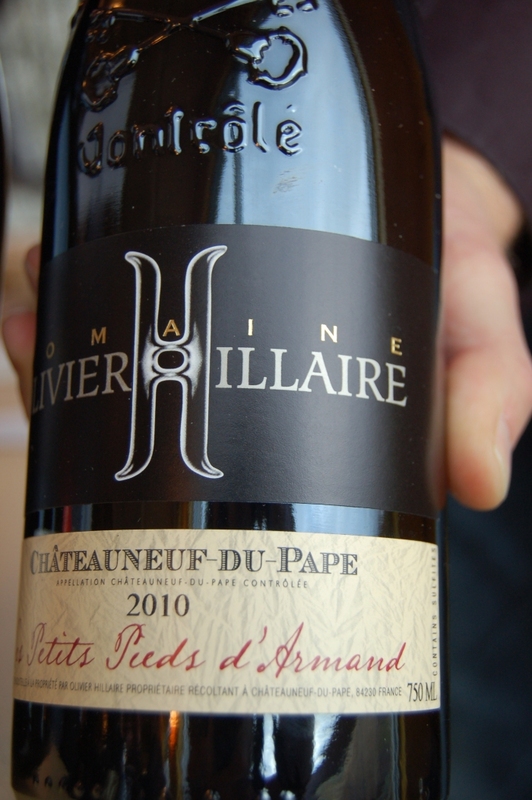 Thirteen different varietals can be used in Chateauneuf du Pape, not to mention the stylistic differences from plot to plot of land and between producers. What ends up happening is that you don't get a baseline. There's too much variety, too much diversity. The wines are so very different. There's just too much confusion. Or identity. Or individualism. Whatever - it can't be wrapped up in a nice little package. Once you realize that and your palate confirms it, you take a deep breath and relax. Better to resign yourself to limits and make the most of it. So, suddenly you find yourself squinting through the crowd at two little wines in opposite corners of the room. Their winemakers look nervous. Crowds are thin around their tables, at first anyway. Word gets a round quick, though. You fall in love with these wines at first whiff and, the moment you take that deep breath of resignation, you fall in deep. These are the brilliant ones: brilliantly crafted and brilliant in the way they affect you. These are special wines, indeed. These are the ones I'm taking home with me. ﻿﻿Because, frankly, as desperately as I want - need - three cases of each, I can barely afford a bottle of each. The trouble is, these wines will haunt me - not only for the long drive home, but for weeks. I will lie awake attempting to rationalize the expense, failing every time, but trying again and again. absolutely stunning 100% Grenache from 107 year old vines, for one. This was the rockstar of the event and as things wound down, Olivier's nervous fidgeting had given way to contagious exuberance, thanks no doubt to the fawning of many new believers. Olivier, my friend, you have nothing to be nervous about. 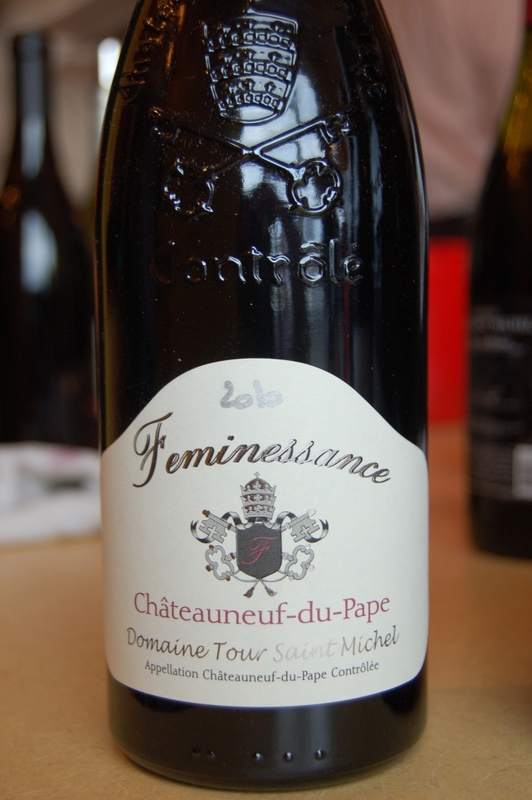 The other, perhaps more evocative was Mireille Porte's 'Feminessance' bottling. Beyond extraordinary and almost as lovely as the winemaker herself. This highly sophisticated wine is both powerful and feminine at the same time. Surprisingly accessible yet promising of ageworthiness, this eye-popping beauty represented the best value of all - even at a retail price of $70. These are the wines I will look forward to encountering again, if only by chance. But more importantly, they've reinvigorated my ideal, my outlook, and my hope for wines everywhere. Oh, the famous La Vieux Donjon? Meh. Thin and celery-flavored. To a palate that has been enjoying a steady diet of California and Italy at the expense of France (and other regions), the wines were way better than expected. There was far more international, modern style than expected - and far more accessibility, too. Alas, they were also more expensive than imagined.